MyMissourian.com is the citizen journalism website for the Columbia Missourian. MyMissourian allows the residents of Mid-Missouri to be users and not just consumers of the media. Residents submit photos, videos, and even recipes to the site. I serve as an editor for MyMissourian.com. My duties include soliciting residents for submissions, editing users’ content, and marketing MyMissourian.com via social media through Twitter and Facebook. Here is an example of my work. Denisha Thomas, an MU convergence journalism senior, is a MyMissourian editor this semester. Alma Tapp’s favorite winter dish, chili, reminds her of time spent with family. Food, family and fun are a few things that the holiday season brings. For Columbia resident Alma Tapp, these things are brought back to her memory when she reflects on her favorite winter dish, chili. “I make it like I saw my mom and dad make it,” Tapp said. Even though Tapp said her chili is one of the best she has ever tasted, it still comes in second place. “My chili is the best next to my mom and dad’s,” Tapp said. Tapp is the fourth oldest of 11 children. She said even after she and her siblings became adults, her parents’ house still felt like home. 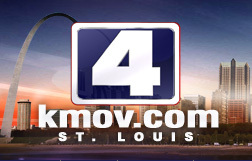 KMOV.com is the website for KMOV-TV located in St. Louis. During the Spring of 2010, I had the opportunity to serve as a sports writer and photographer for KMOV.com’s MizzouSports Blog. I covered both the Mizzou Women Tigers’ Softball team and the Mizzou Men Tigers’ Baseball team. Here is an example of one of my post for KMOV.com. The Missouri Tiger Baseball Team beat the Missouri State Bears on Tuesday night at Taylor Stadium, 11-6. No runs were made until the top of the third inning when Missouri State’s Kevin Medrano hit a two-run homer. The Bears would score again in the top of the fourth inning leaving the score to be 0-3. The Tigers would not stay behind for long because in the fourth inning, Mizzou would manage to get five runs. Junior Brett Nicholas hit a three-run home run. This three run extended Nicholas’s home run streak to 19 games. Freshmen Dane Opel and Scott Sommerfield scored off of the bat of senior Michael Liberto. At the top of the fifth inning, the Bears had a one-run lead with three runs. Aaron Conway’s home run help to put the Bears in the lead. Senior Aaron Senne was able to score off of a single hit by junior Jonah Schmidt. The game was tied at 6-6 at the end of the fifth inning.